Central Europe is the best place to live. From Prague it’s only four hours and not much money to travel to Berlin or Vienna. 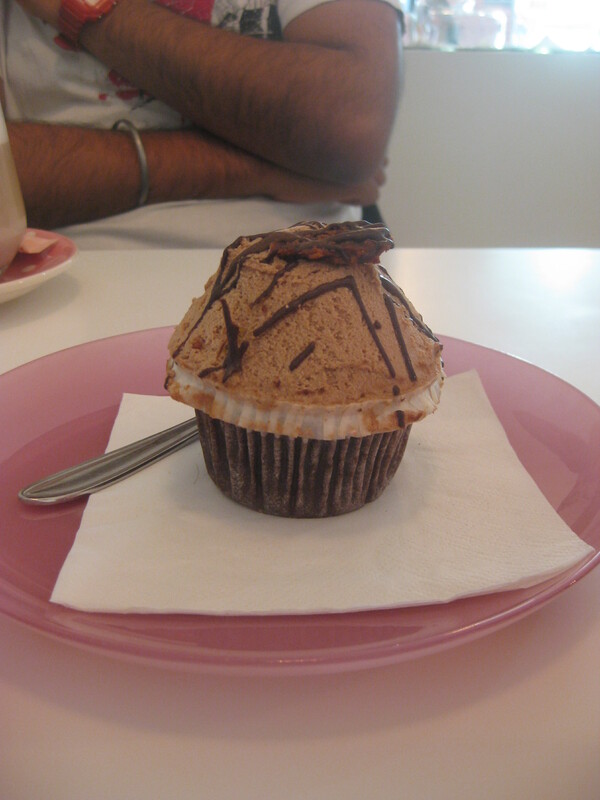 When we decided to move here, we thought excitedly about travelling every weekend and popping up to Berlin any time we craved a delicious cake from Oh La La. Of course, life does not allow for such things, but we managed to make it to Vienna within a few months of arriving in Prague, and stayed for a whole week as well. It was a magical holiday. Prague has some incredible architecture, and walking down an average street can be part of the sight-seeing experience. 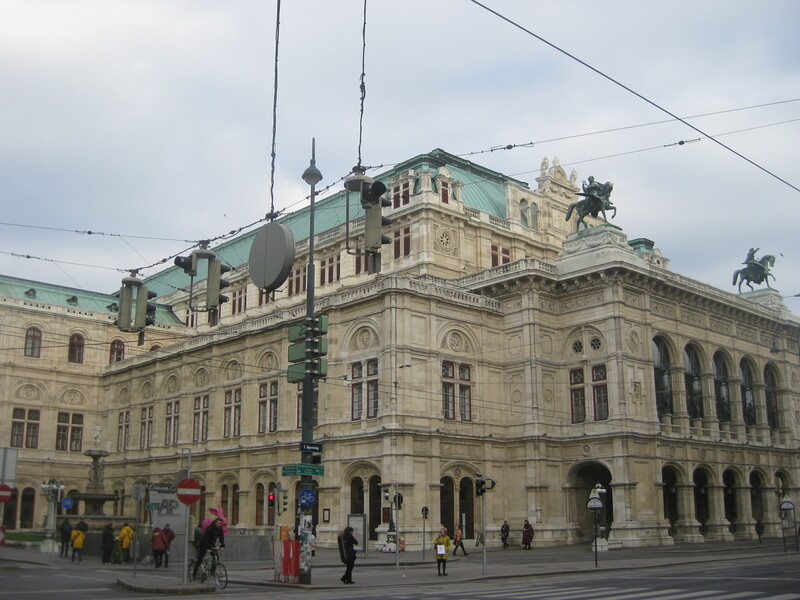 But Vienna is something else, especially the city centre, where within about 10 minutes you can walk from the state opera to a palace, to the town hall, to the university, to parliament, to a million museums, and each building is grander than the last. And it has an advantage over Prague, where the main sights are on narrow, twisted little cobbled streets and you can’t take two steps without crashing into someone wielding a selfie-stick and wearing their backpack on their front. Vienna has wide avenues and minimal contact with other pedestrians or tourists: perfection. On arrival in Vienna, we checked in to our airbnb and had a very slow spin on the big wheel at Prater (not really recommended), then went for burgers at Schillinger’s Swing Kitchen. I’d heard rave reviews about this place on other blogs and forums, so I was very excited. In the end though, it didn’t really live up to the hype. 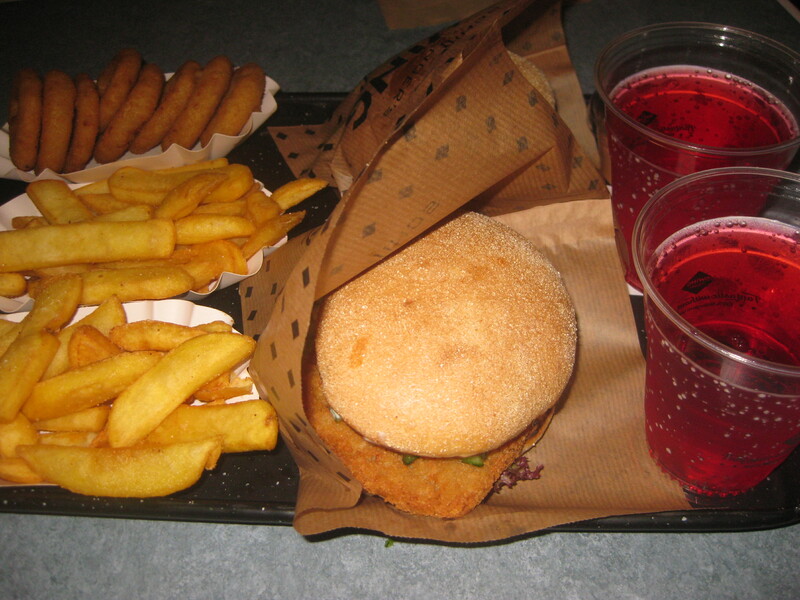 I thought it was essentially an up-scale, meat-free McDonalds: fast food, but not the best quality or tastiest burgers. The interior at least was nicer than McDonalds; it’s a big spacious place, though there aren’t that many seats and it was a bit of a struggle to get somewhere to sit. Dr HH and I both ordered the Vienna burger. 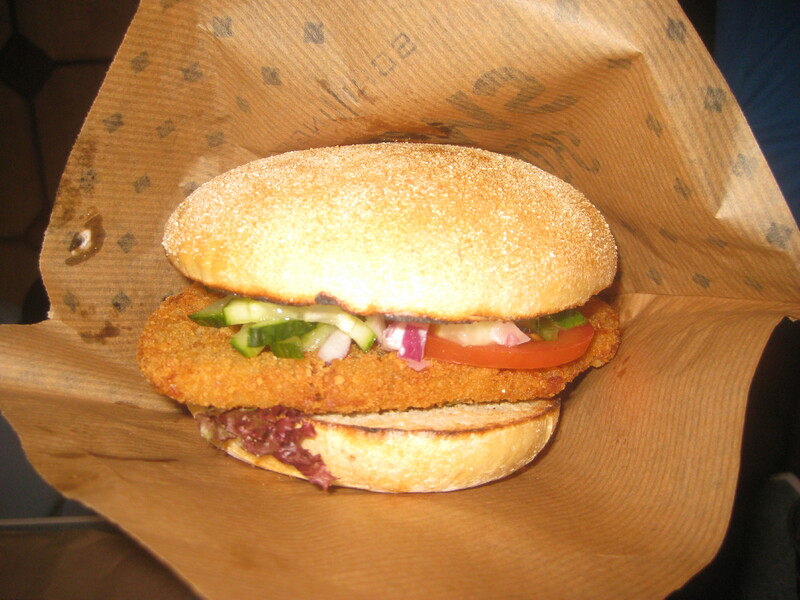 The patty was a big schnitzel topped with mayo and salad in a toasted bun. It was nice, but there wasn’t much flavour in there (alas, there was a tabasco station that we didn’t spot until too late). The portion of chips was pretty small, but it was nice to get proper chips rather than French fries. We also shared a portion of onion rings, which were nice but didn’t have the proper batter. There were three regular desserts and a daily special, and we agonised a little before agreeing to share the sachermuffin. It was a good choice! The sponge was excellent, really moist and not too rich. The perfect balance. If you’re staying in Vienna for a while and like fast food, it’s worth popping along, but I wouldn’t call this place a must-visit. In my Easter holiday this year I was disappointed to find that Paris and Ghent had virtually no good vegan breakfast options. Well, Vienna has hundreds, so we started exploring them the very next morning at Deli Bluem. This all-vegan restaurant has some individual breakfast items you can order, as well as some set meals with a common theme. 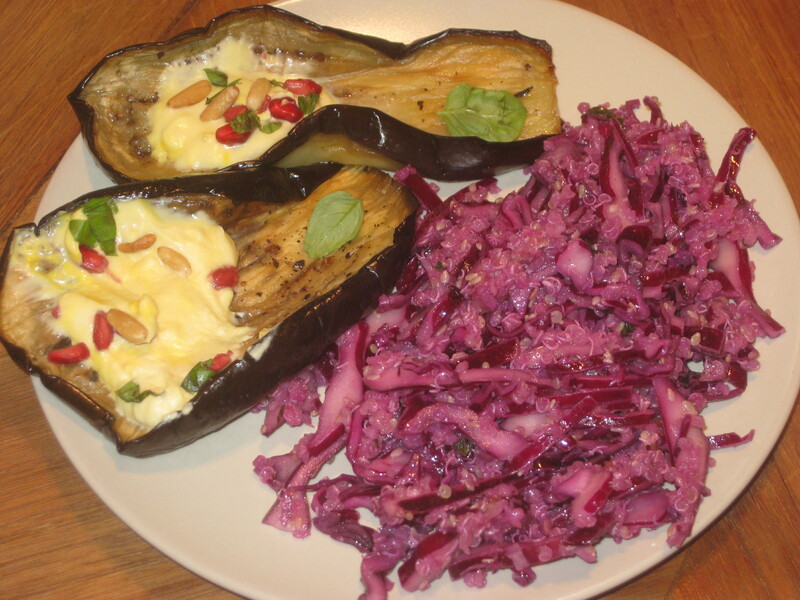 We both chose the Marrakech, which consisted of two aubergine halves cooked to melty perfection and topped with saffron yoghurt, pine nuts, pomegranate seeds and basil. They were amazing! These were accompanied by a quinoa and red cabbage salad, which was also really good, though I’m not convinced it included the mint and dates promised. 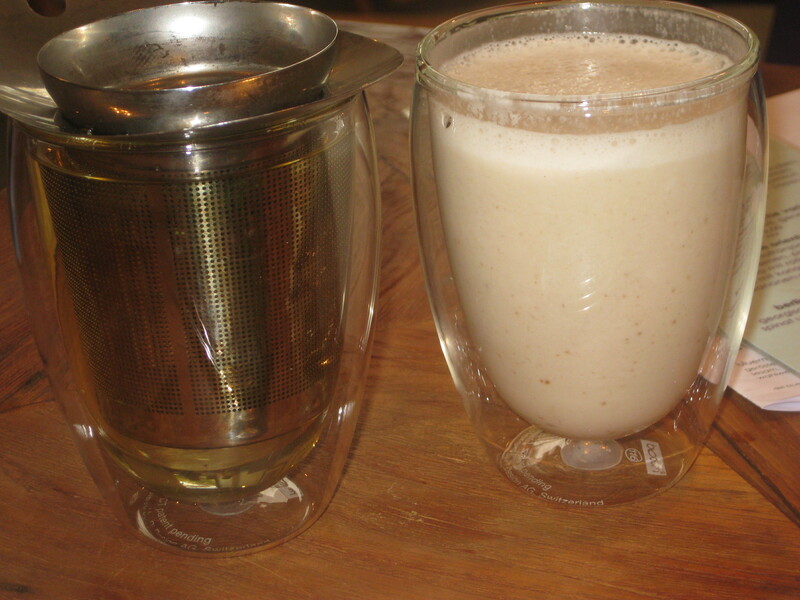 On the side, we got some sourdough bread spread with freshly-made hummus, and two drinks: mint tea and a banana date smoothie. 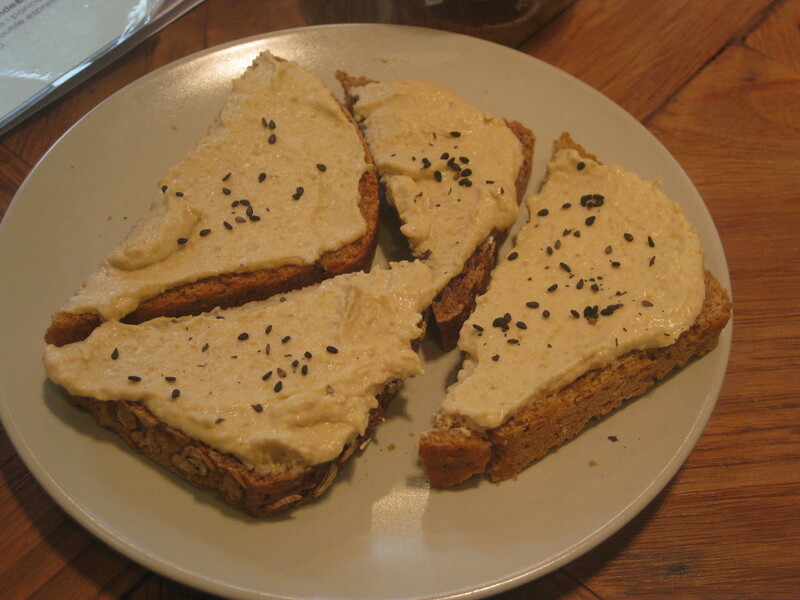 Everything was delicious, and I say that as someone who usually prefers a sweet breakfast. The cafe itself is lovely too, really spacious and light, and featuring test tube chandeliers that my science teacher beau was crazy about. The only downside: this breakfast cost us 14 euros, and it was pretty small. That said, we still didn’t need much of a lunch. So we went for cake! 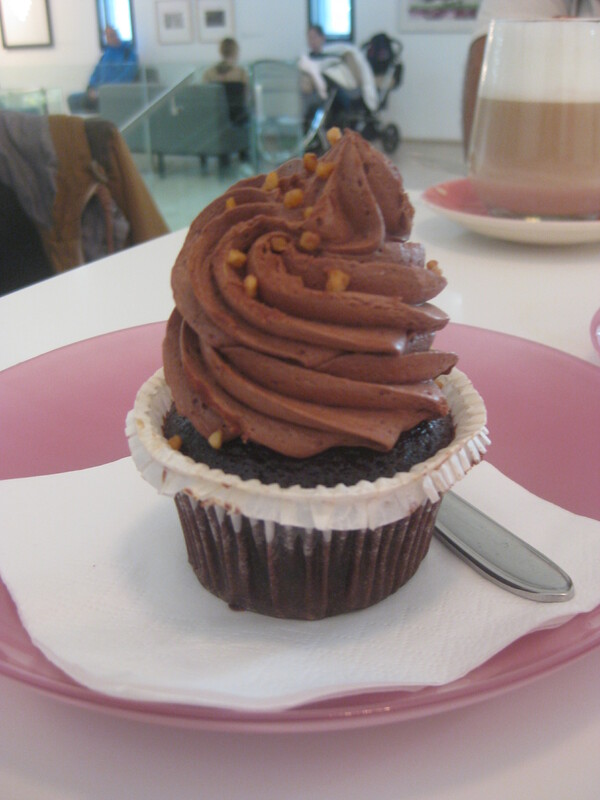 The best thing about the Mumok (modern art museum) was the CupCakes Wien cafe inside it, with its three vegan cupcake options. We split the chocolate one and the orange nougat, both of which were delicious. 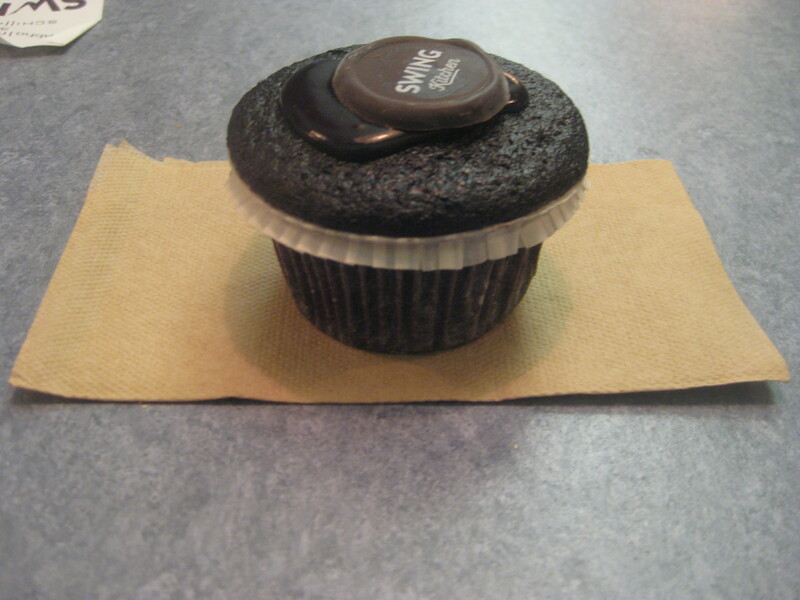 The sponge was perfect and, most importantly, the icing was neither too smooth nor too gritty. Lovely! In the evening we were pretty peckish and wanted to fill up before going to the opera, so we’d reserved a table at Pirata Sushi (UPDATE: closed January 2017). It’s a small place, so if you want to eat in (takeaway also available) it might be worth booking. 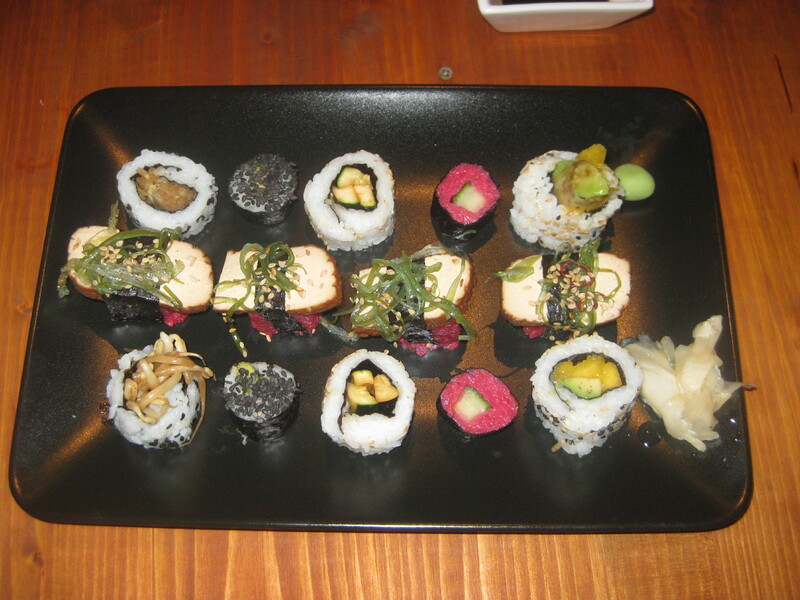 We started off with the mixed plate at the top: 4 nigiri with smoked tofu, 6 uramaki and 4 maki. 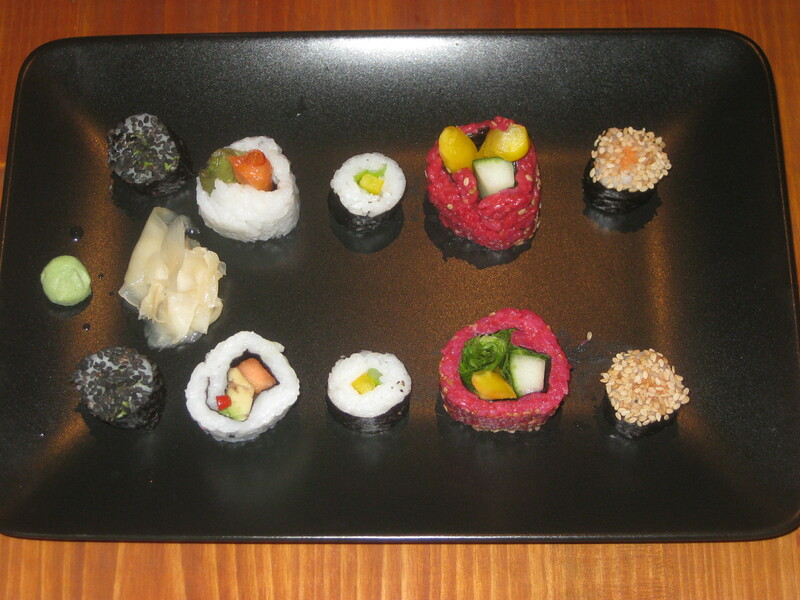 After a little break, we wanted more, so got the second plate with four more aramaki and 6 maki. This meant we got to try pretty much everything on offer, and they were all fresh and delicious. Special mentions to the black avocado maki, nigiri (obviously) and the exciting pink salad bomb. The next morning started with The Great Waffle Debacle of 2015, as it has come to be known. Yes, it was as bleak as it sounds. During my extensive holiday research, I had found a photo from the Brass Monkey Facebook page with a picture of the most mouthwatering waffles alongside the caption, and I quote “new vegan breakfast starting from Monday.” When we arrived, a few weeks after the Monday in question, I hopefully asked the waitress, “What about the vegan waffles?” “We don’t make them till the afternoon,” she replied, “around 1pm.” Nooooo! Why?! Why lie on Facebook, and why serve waffles but not at breakfast time? I was devastated and starving, so we stayed for some emergency breakfast. Dr HH got a nice pastry, but the only vegan option was the sacher cake. So I had to have it. 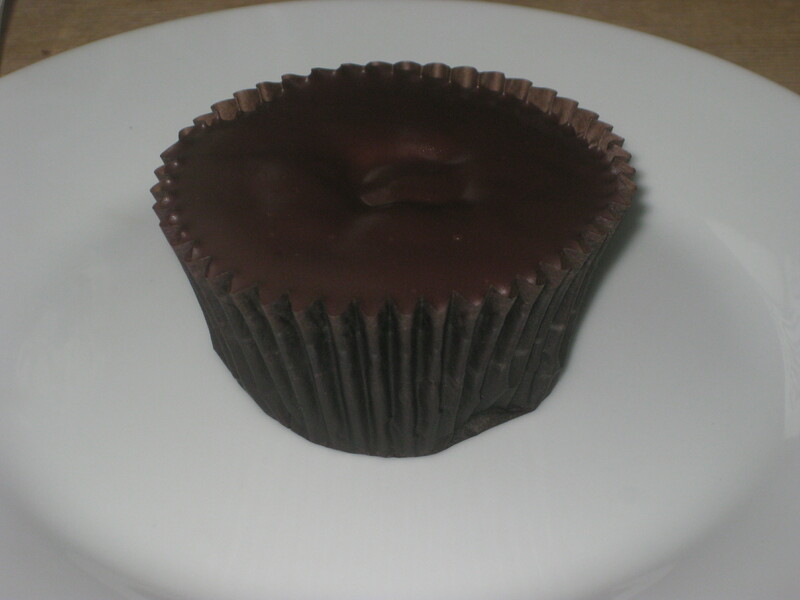 The ganache was not glossy, but it was very tasty. But it wasn’t a waffle. Fortunately, Maran Vegan Supermarket is not far away and alongside the well-stocked shop there is a little bakery/canteen. 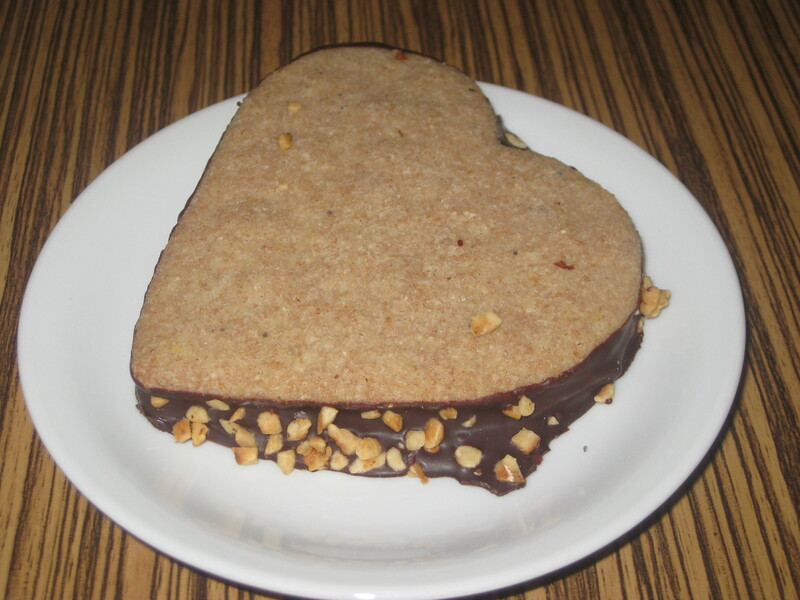 We shared this chocolate and raspberry croissant and nougat heart, which was a sandwich biscuit. 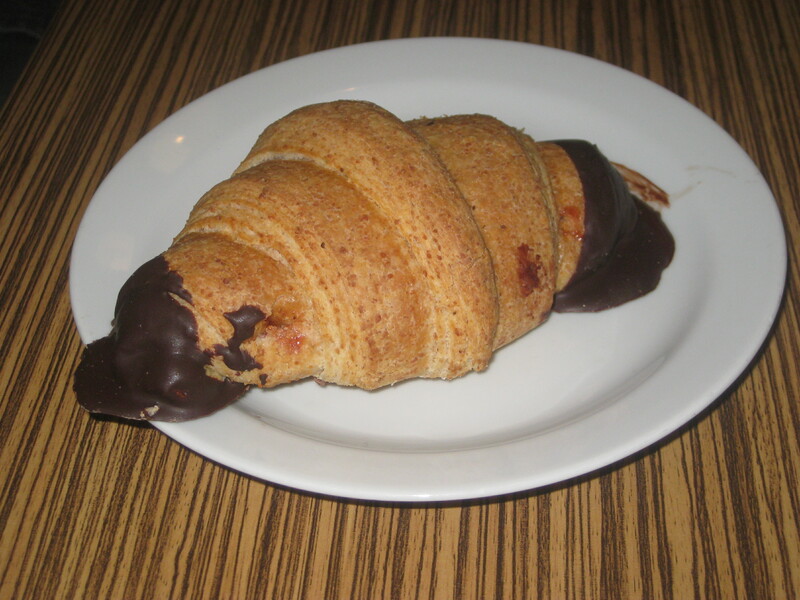 The biscuit was lovely, and the croissant was very tasty, though it was more doughy like a bread bun than having the pastry layers of a traditional croissant. Not the healthiest of breakfasts, but this is what I was driven to. I finally got something from a non-cakey food group when we had a late lunch at Falaferia in the Praterstern Metro station. I have missed good falafel. Anyone following the immigration crisis will know that the Czech Republic government is not exactly pro-refugees, and it has been very strange for me to move to a non-multicultural society (besides a Vietnamese community, Prague is extremely white). A lack of these other communities means a lack of their delicious cuisines, and as such we are yet to discover good falafel in Prague. I genuinely believe if Czech politicians/people tried falafel, they would be much more receptive of the refugees. Fortunately, Vienna is as multicultural as it gets, and they have the falafel to show for it. This was the best falafel we’d had since our last trip to Go Falafel in Manchester. 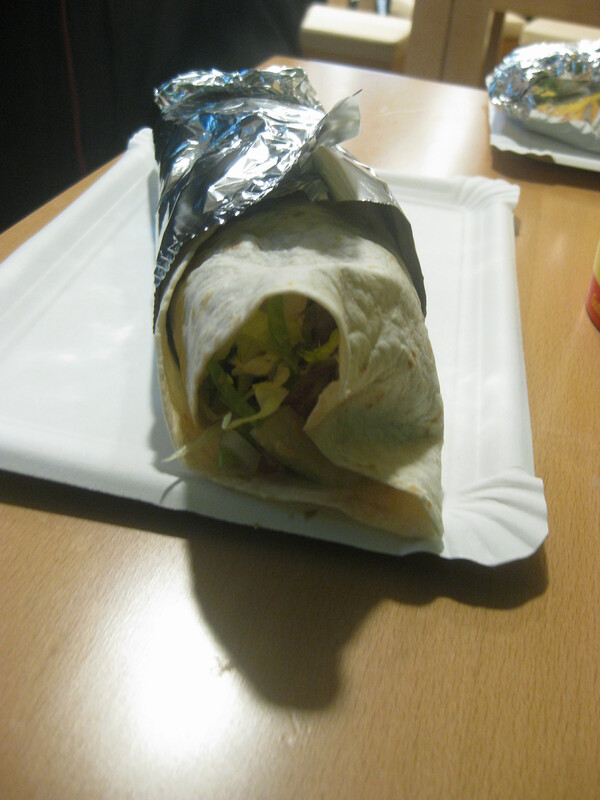 It’s hard to get a good photo of a falafel wrap, so you’ll have to take my word for it that this one was incredible. The falafel was flecked with green, which is always reassuring. My understanding was that all the cooked food was vegan (most things are labelled as such), and it was only some of the dressings that were not, so we asked for all the vegan options on the wrap. There was some good salad, including an amazing aubergine spread. You can choose how spicy you want it, which is always a bonus. This is such a great stop if you just want a quick, tasty, reasonably-priced bite. And after a busy day of sightseeing, we finished up with a huge feast at Rupp’s, an Irish pub. I know there is nothing worse than being a British tourist in an Irish pub, but Rupp’s is not typical of its kind: there’s no TV, so definitely no sport; we were the only Brits in there; it’s small and cosy; and the food is all vegan and vegetarian (reviews on Happy Cow say that the alcohol is not all veggie though, so beer drinkers beware – I was pleased to see the vegan wines marked on the menu). It’s a really atmospheric little place, decked out with old TV sets, books and board games. We reserved a table, and I think it’s just as well: it was packed by 7:30pm! There was only one barman, so service was a little frantic, but he still found time to be smiley and helpful. Another bonus: there’s an English translation at the back of the menu. Hurrah! Dr HH, rather surprisingly, opted for one of the smaller plates and just got this bratwurst. 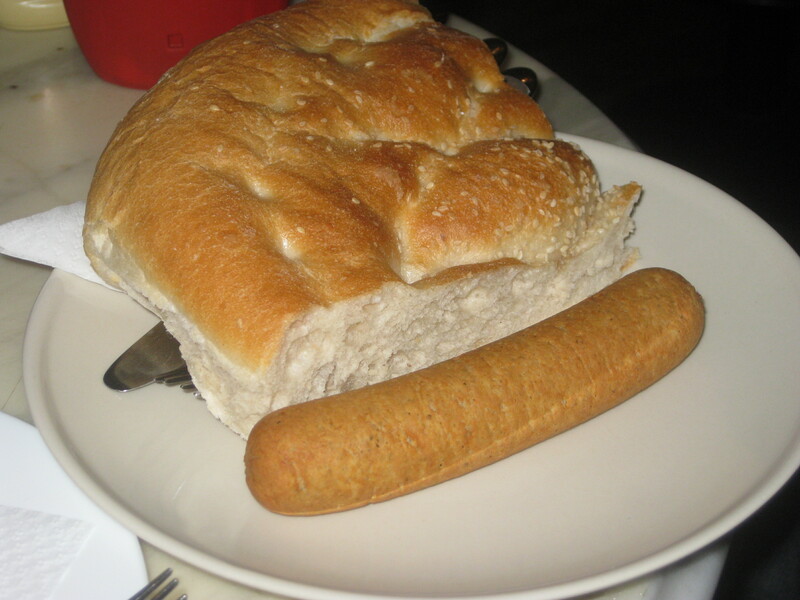 A slightly troubling sausage:bread ratio, but he fashioned it into a hot dog with some ketchup and mustard and said the sausage was really well-flavoured. As he still had bread to spare, I gave him a schnitzel and he said that also made for a good sandwich, with some potato on the side. 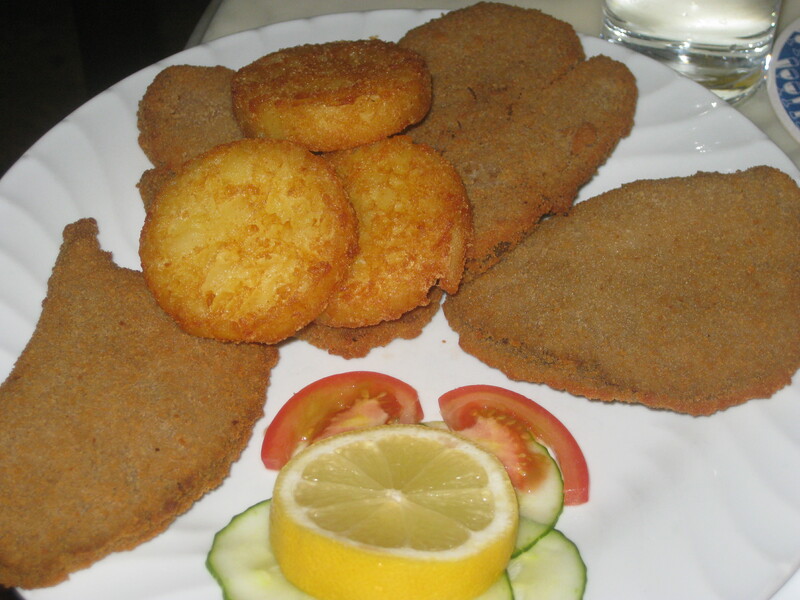 Yes, I got some traditional schnitzel, and chose roast potatoes as the accompaniment and was pretty pleased when they turned out to be hash browns. Some people might think this looked dry, but it was my idea of heaven! Apologies for the bad photo here, my hands must have been shaking with excitement. There were two vegan desserts on the menu, and we chose the chocolate nougat crepes over the apple strudel. We really, really should have shared one plate. The barman asked us if we’d like vanilla sauce (custard, basically) with them, and I asked what he’d recommend. 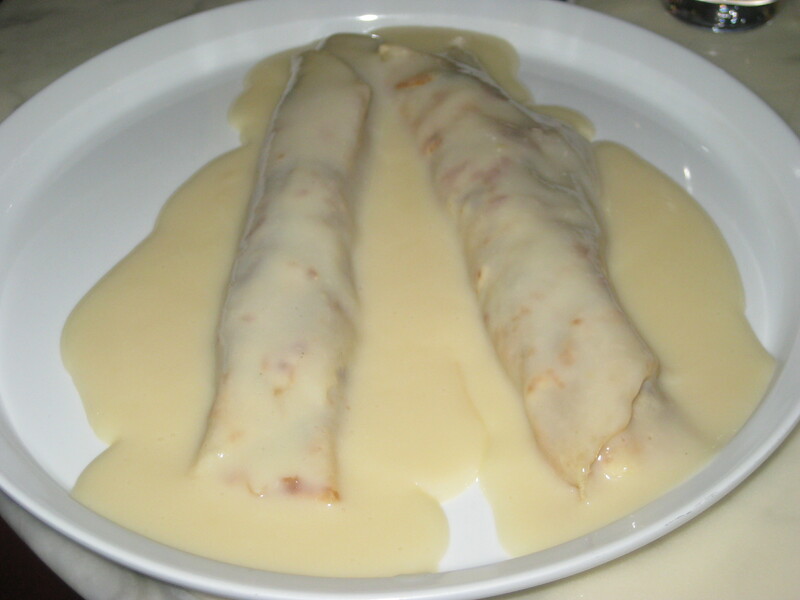 He told us that with the custard “they’re really nasty…but I mean that in a good way!” We took his word for it, and they were indeed decadent and delicious: two big, thick crepes filled with vegan Nutella and smothered in custard. Generally, I’d call this good pub grub with an exceptional dessert. I think it’s a better choice than Swing Kitchen if you’re looking for that kind of fix. In the next installment: you thought the Great Waffle Debacle of 2015 was bad? Imagine the Great Pastry Debacle! Also: more cake, more falafel. This entry was posted in Travel and tagged CupCakes Wien, Deli Bluem Vienna, Falaferia Vienna, Pirata Sushi Vienna, Rupp's Vienna, Swing Kitchen Vienna, vegan travel, vegan Vienna. Bookmark the permalink. No waffle would have destroyed me! But those crepes sound amazing!!! It was devastating, but yes, the other good food in Vienna helped me to recover! I love learning about these European vegan options! It makes me hopefully for the day I have enough money to visit! That’s exactly how I feel when I read blogs about the vegan scene in America! The waffle fail is heartbreaking! I had a similar situation when I missed out on a vegan ice cream shop in NYC and thinking about it still makes me sad. It’s worse when it’s something rare, like waffles or ice cream. I’d been thinking about those waffles for a long time beforehand! Nice to read your review. 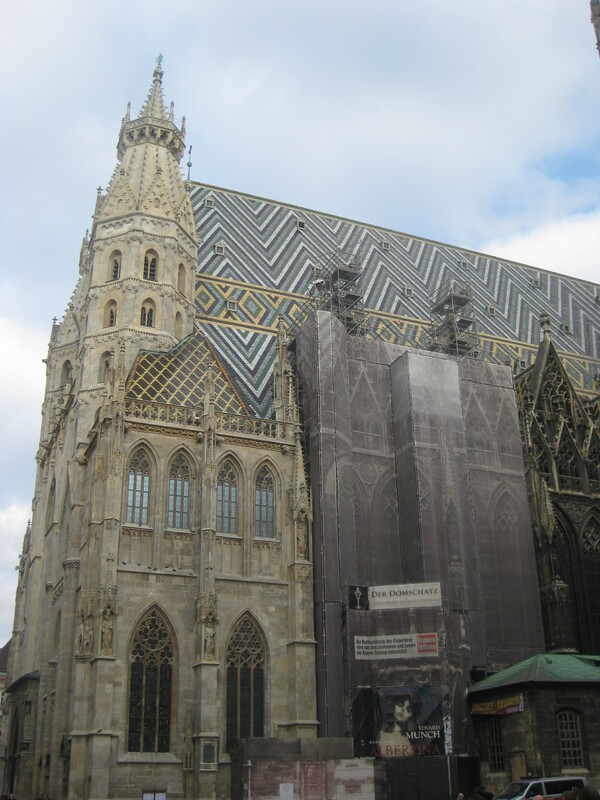 We would love to go back to Vienna one day. It’s been early 25 years since we were there 🙂 Looking forward to part 2! Thanks! It’s always hard to prioritise revisiting old places when there are so many new ones to discover!